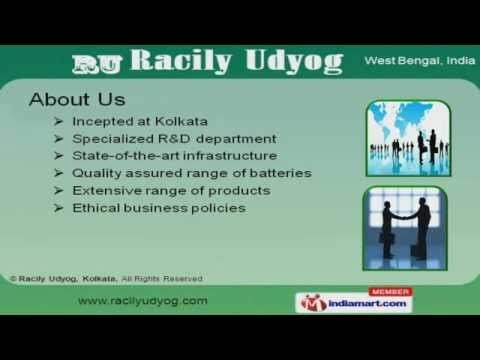 Welcome to Racily Udyog, Manufacturer and Supplier of Gauntlet Tubular Batteries. The company was incepted at Kolkata. Our State of the art infrastructure and Ethical business policies make us stand apart from also rans. Total quality assurance, Team of efficient professionals and Market leading prices help us to attain an enviable position in the industry. Our team comprise of Mechanical Engineers, Experienced Technicians and others. Our quality policy covers Longer Service Life, High End Finish and others. We offer a wide array of Mono Block and Single Cell Batteries. Our Mono Block Batteries are well known for their impeccable performance. Monoblock Battery 12 v 180 AH C 10 offered by us are a class apart. Our Single Cell Batteries are best in the industry amongst others.